The Great Australasian Beer SpecTAPular (GABS) is a beer festival with a difference, celebrating the diversity of craft beer and the creativity of the breweries with some of the best craft breweries from Australia, New Zealand and internationally brewing brand new beers specifically for the event. It was started in 2012 by Steve Jeffares and Guy Greenstone, owners of the multi-award winning Local Taphouse pubs in Melbourne and Sydney, and offers a variety of one-off, world exclusive beers, brewery and industry stands, a gourmet food market, educational seminars and live entertainment in the World Heritage listed Royal Exhibition Building in Melbourne. The 2012 event took place over three days and featured two 40-foot shipping containers transformed into four bars featuring sixty beers. A series of free education sessions were held at the event’s Craft Beer College. 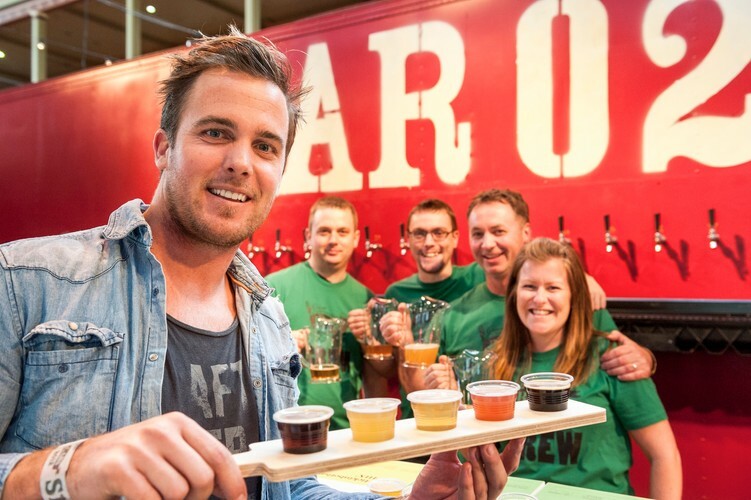 This year sees the number of hand-crafted beers at the event increase from 60 to about 100, indoor gourmet food stands and a brand new Beer Market, with up to 60 beer and industry related exhibitors selling more than 250 beers. The 2013 event will be held from 24 – 26 May.